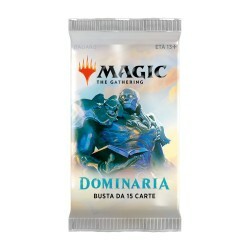 Wizards of the Coast (often referred to as WotC /wɑːt.siː/ or simply Wizards) is an American publisher of games, primarily based on fantasy and science fiction themes, and formerly an operator of retail stores for games. 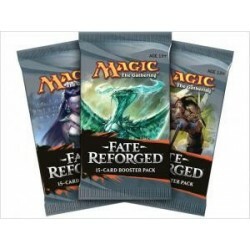 Originally a basement-run role-playing game publisher, the company popularized the collectible card game genre with Magic: The Gathering in the mid-1990s, acquired the popular Dungeons & Dragons role-playing game by purchasing the failing company TSR, and experienced tremendous success by publishing the licensed Pokémon Trading Card Game. The company's corporate headquarters are located in Renton, Washington in the United States of America. 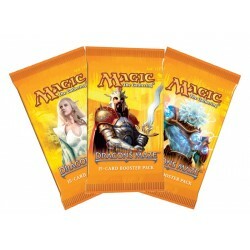 Wizards of the Coast publishes role-playing games, board games, and collectible card games. They have received numerous awards, including several Origins Awards. The company has been a subsidiary of Hasbro since 1999. All Wizards of the Coast stores were closed in 2004. On the plane of Innistrad, humanity is beset on all sides. Horrors stalk in the shadows. Terrors scratch at doors in the night. Only grim determination and staunch faith in their guardian archangel, Avacyn, keep them alive in this nightmarish realm. 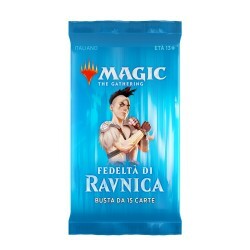 Booster of 15 cards of Ravnica Allegiance ENG, Magic The Gathering. 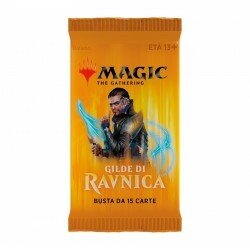 Booster of 15 cards of Guilds of Ravnica ENG, Magic The Gathering. The battle to save the plane of Zendikar rages on. Confronted with overwhelming odds, the Planeswalkers face a dire choice: Retreat away to safety and leave the world to oblivion, or stay at great personal risk and fight for Zendikar. 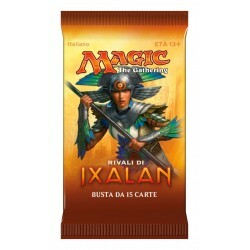 Booster of 15 cards of Rivals of Ixalan, Magic The Gathering. The Golden City of Orazca has been found! Build your forces and stake your claim to Orazca with Ascend cards! Accomplish the goal on the front and you will have unlocked the power of Legendary Lands! Dinosaurs, Merfolk, Pirates and Vampires are back! Power-up your decks with Rivals of Ixalan! 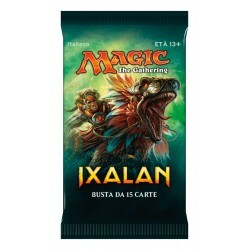 Booster of 15 cards of Ixalan, Magic The Gathering A whole world waits to be discovered. Ancient ruins from the Sun Empire's heyday can now be found, overgrown and half-buried, in the depths of the jungle. Sacred springs infused with magical power well up from high mountainsides. 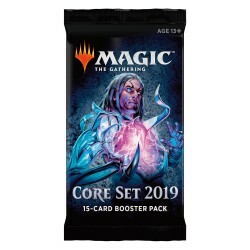 Booster of 15 cards of Core Set 2019 ENG, Magic The Gathering. 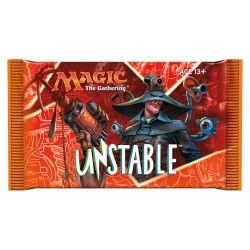 Booster of 15 cards of Unstable, Magic The Gathering. 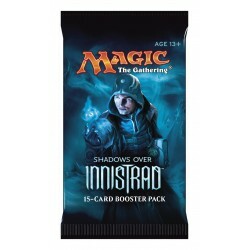 Booster of 15 cards of Iconic Masters, Magic The Gathering. 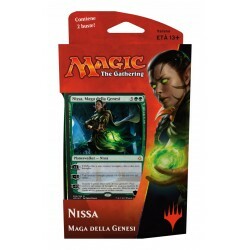 Iconic Masters contains 249 cards (101 common, 80 uncommon, 53 rare, and 15 mythic rare) and includes randomly inserted premium versions of all cards. 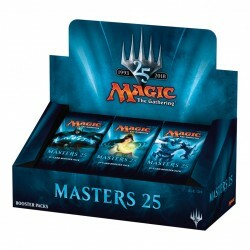 Booster of 15 cards of Master 25, Magic The Gathering. 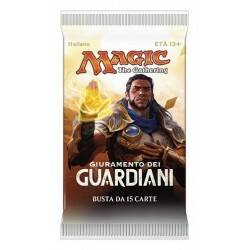 Celebrate the 25th Anniversary of Magic: the Gathering with a journey through the history of the world's first trading card game. In Masters 25, you'll find lands or spells from every Vintage-legal Magic set that introduced original cards.